but assists in the planning of programs and initiatives focused on community engagement both in British Columbia and abroad. The SLT provides professional development in the fields of Community Programming, Student Development, and Service Learning, within an academic setting. ORICE has already completed recruitment for September 2017 –April 2018. An ORICE Student Leader works as part of a collaborative team with direction and coaching from ORICE Staff. Team members work with ORICE staff on core program activities such as recruitment, interviews, pre-departure programming, team socials, fundraising coordination, post-experience programming and assessment, while also learning about the theory and planning strategy underpinning the program. 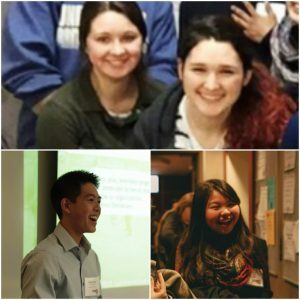 The SLT will also work with the ORICE team on special projects such as community building, alumni engagement events, and networking opportunities. How to Apply: Our next round of recruitment will begin summer of 2018. Check out our Student Leadership Team Video Playlist below or email us at ubc.isl@ubc.ca.